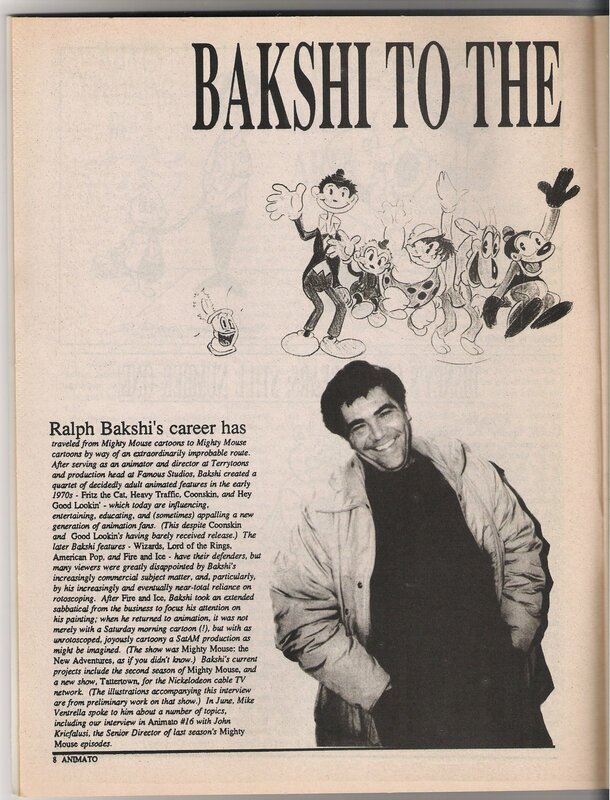 Today, an older Bakshi is being interviewed all over the place,voicing his opinions reflectively on his films. But a person and their personality change quite a bit over the years. 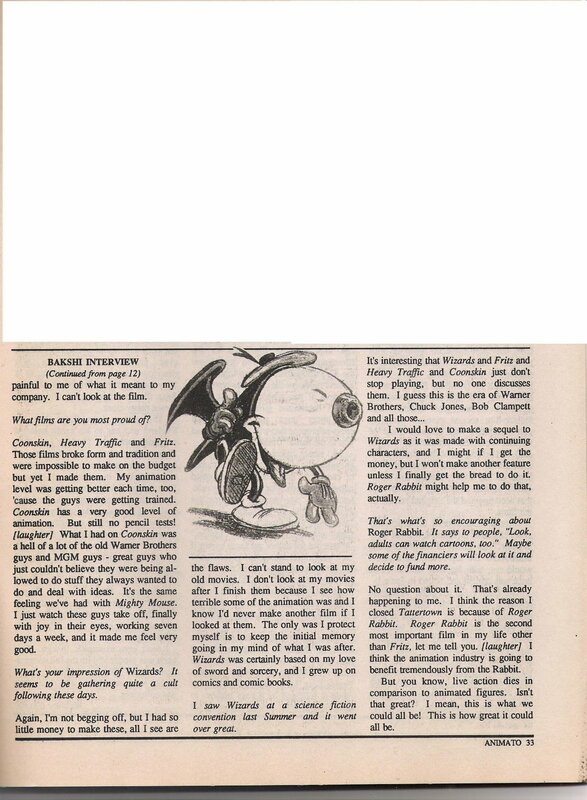 So it's refreshing to see this Bakshi interview from 1988, back when he felt he had a second creative life, due in no small part to Mighty Mouse and Roger Rabbit. 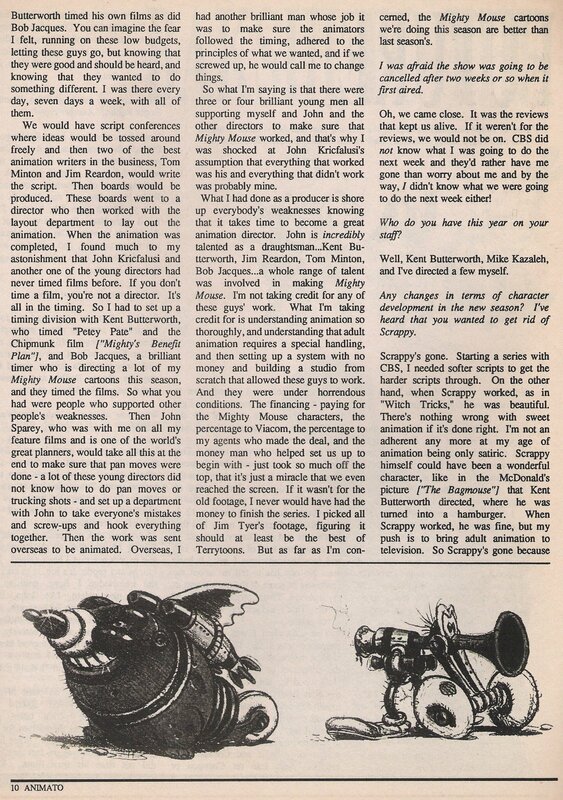 Also, I'm glad to see Bakshi praise the writing skills of Jim Reardon, who work on Mighty Mouse my favorite episodes of the Simpsons(Mr. Plow, King Sized Homer, etc) and co-wrote Wall-E(which I have no shame in proclaiming Pixar's best film, and unequivocally the best 3-d animated film yet)., along will fellow MM alumni Andrew Stanton, who directed said film. 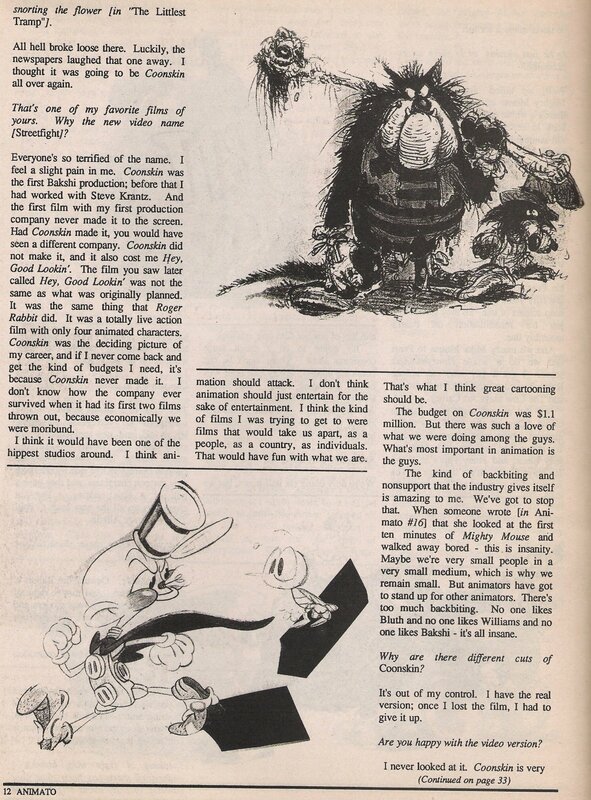 Bakshi, the Roger Corman of animation. 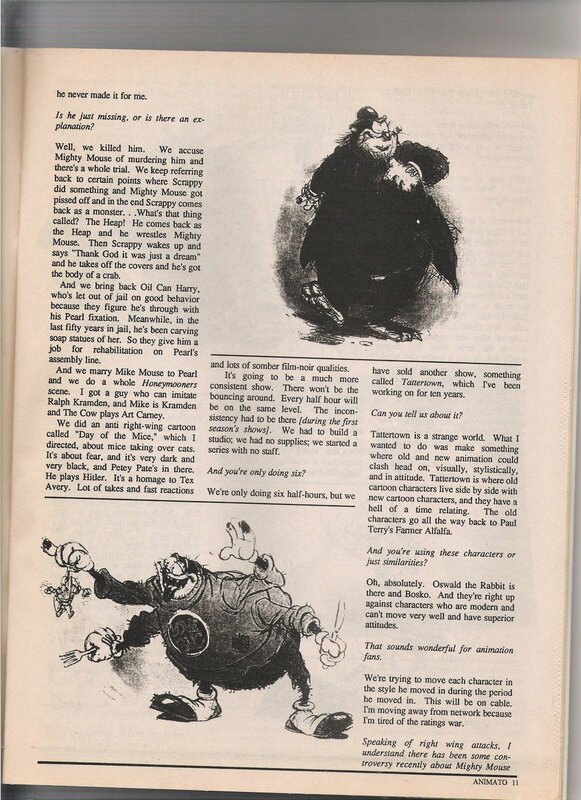 Thanks to John P.'s blog and his post Back to the Bakshi, which has many more scans well worth checking out, including some on Roger Rabbit andGremlins. Wonderful interview. It's just so sad that none of those hopes came to pass. Sure, he had a chance with "Cool World", but executives fucked that up. 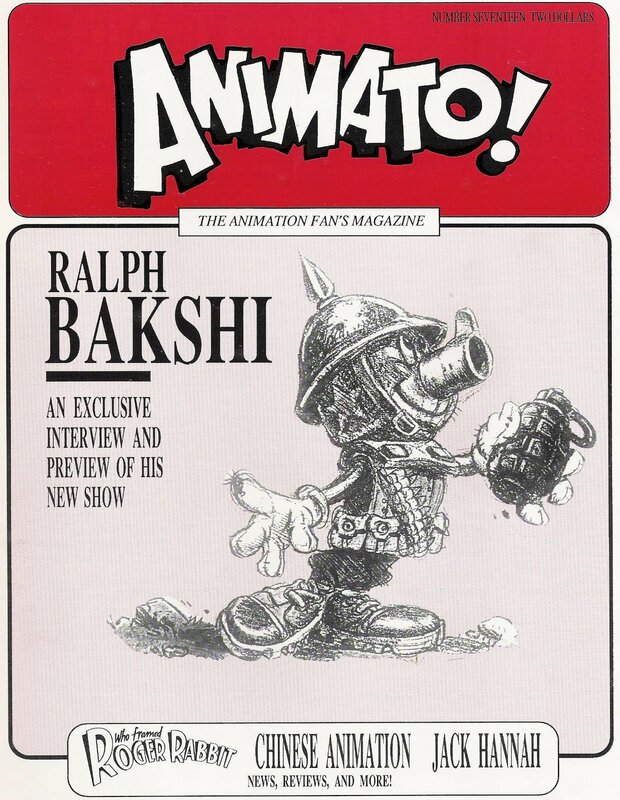 We never got that Bakshi revival. The artwork featured here is absolutely fabulous. That is genuine cartoon art. Two thumbs up with this post. 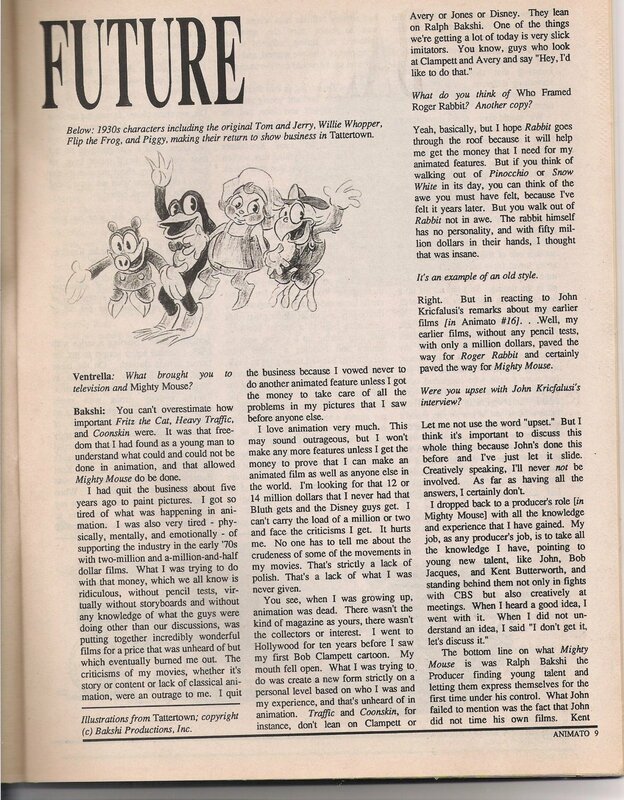 Oh, here's a little article you might find interesting. Look at the second to last paragraph.